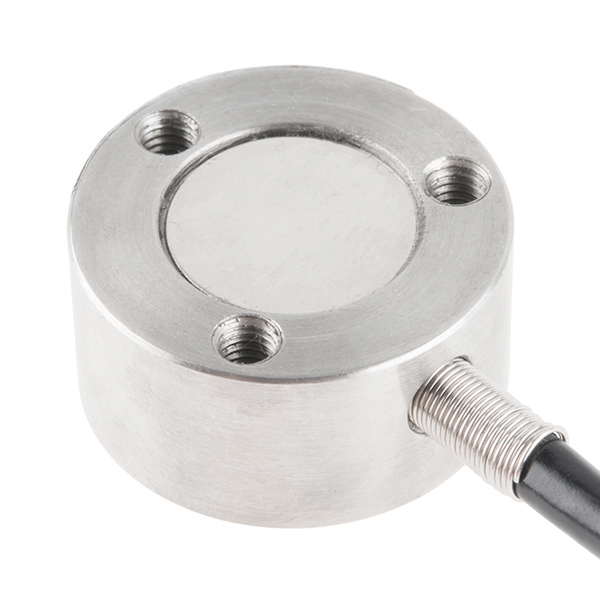 This disc load cell (sometimes called a strain gauge) can translate up to a whopping 200kg of pressure (force) into an electrical signal. Each load cell is able to measure the electrical resistance that changes in response to, and proportional of, the strain (e.g. pressure or force) applied to the disc. With this gauge you will be able to tell just how heavy an object is, if an object's weight changes over time, or if you simply need to sense the presence of an object by measuring strain or load applied to a surface. Is there going to be a 100kg load cell coming at all to fill the gap between 50kg and 200kg? I see these are IP66 rated... Can anyone comment on how that translates to use outdoors. It would be exposed to rain and condensation over time. Any concerns with the moisture exposure in those conditions? Accodring to IP66: IP66 Enclosure - IP rated as "dust tight" and protected against heavy seas or powerful jets of water. If one had access to a machine shop (i.e. mill, lathe), could this be modified to read tension? I.e. have you ever opened one of these up and looked at the insides? It looks like the 'top' is probably a really thin web, and perhaps it would be drilled and tapped if they left enough meat on it. Any ideas of how I can build a platform for this type of load cell? Thanks. Specs show mounting with M2 with 4 holes. Actual is M? with 3 holes. Conclusion: Wait for delivery before drilling holes. 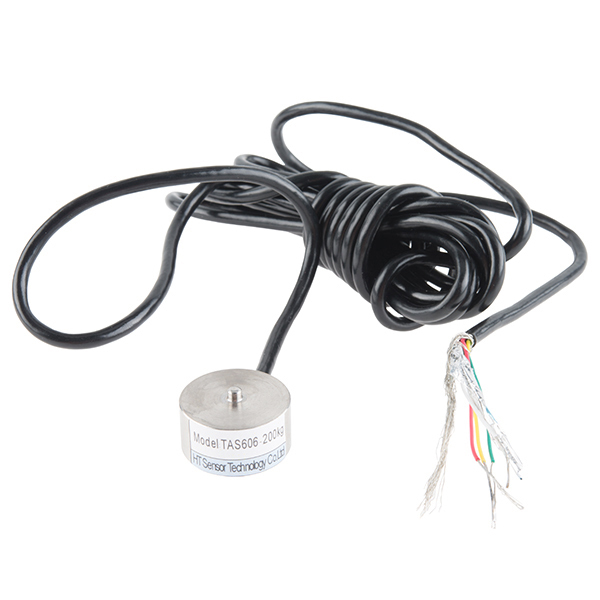 I just received this load cell and noticed your other comment about the leads being the wrong colors - can you share what the correct color mapping is for the 200kg cell? Edit - nevermind, busted out the ohmmeter. red and green are excitation, yellow and white are output. I just got this too and can't get it working and so I'm wondering if the wiring is still indicated wrong. How exactly do you tell which are excitation and which are output? I used an ohmmeter and both red-green and red-black have resistances. 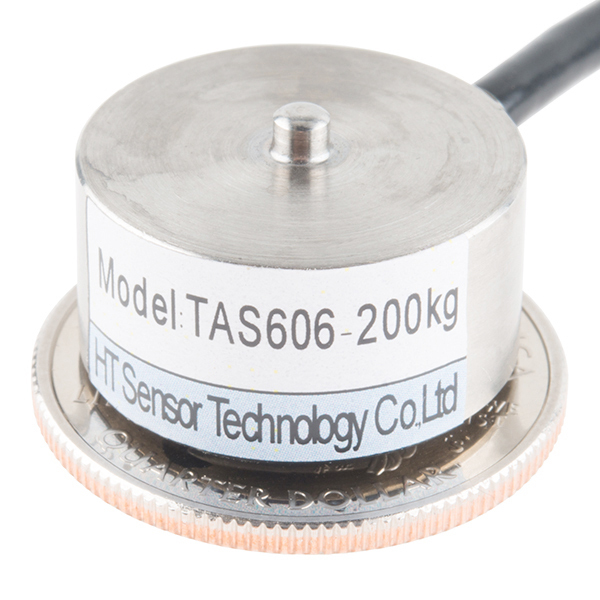 What is the total weight of this load cell which can translate up to 200kg axial load? I followed the instructions of the hookup guide and used red and green as excitation and yellow and white as output. But the example sketch is still reading 0 lbs regardless of weight, too. Does someone know the solution for this? How can you determine the force output from the voltage? hooked this load cell up per the instructions on the load cell hookup guide, but the example sketches are reading 0 lbs regardless of weight. Assumed the yellow wire is E- (since there is no black). It works very well Lawrence Windrem President Gaming Essentials Inc.